We are now 10 years after the start of the Iraq War; it is hard to believe for most of us. As our country continues to transition out of this conflict, the need for employment of our veterans continues. 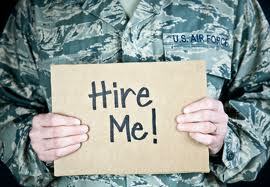 We are familiar with the case for hiring our veterans. They have worked in chaotic environments that none of us will ever be able to imagine and are highly responsible, mature and most all of them have significant managerial experience and skill sets that are transferrable to civilian occupations. So why then is the gap between veteran and nonveteran unemployment rates 9.7% and 7.7% respectively? It is Training. Our veterans face this challenge, and more, trying to understand the language of business, than we would to decipher the language of the military. The great news is that veterans are very good at business practices as they have field operational experience, but need your specific industry training. Take a look at your training and on-boarding programs for your company and make sure that they meet the needs of veterans. The best way to check is if you have hired veterans, ask them and see what they would change in training to make the transition and ramp up time quicker to ensure they can contribute as soon as possible to the organization. When your next job opening becomes available, hire one of our country’s finest, a veteran. What is this “Apple Pay” thing? Small Business Merchants, the EMV deadline is approaching quickly. Customer Loyalty, turn every transaction into a relationship. Local prospects are using mobile, are they seeing your business? © 2012 - 2013 G5 Transaction Solutions. All Rights Reserved.